Should you wish to telephone prior to attending a meeting please contact the branch chairperson. Peter Threlfall 0151 653 5311. Alternatively please write to- P. Threlfall. 13 Southhill Road. Oxton. Wirral. Merseyside. CH43 5RL. 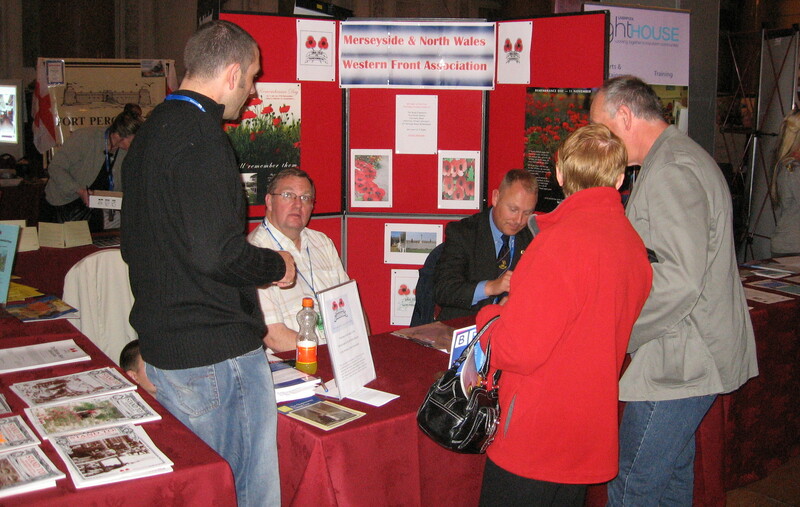 The MERSEYSIDE branch stall at the St Georges Hall Big History Show. John MaCrae. In Flanders' Fields.